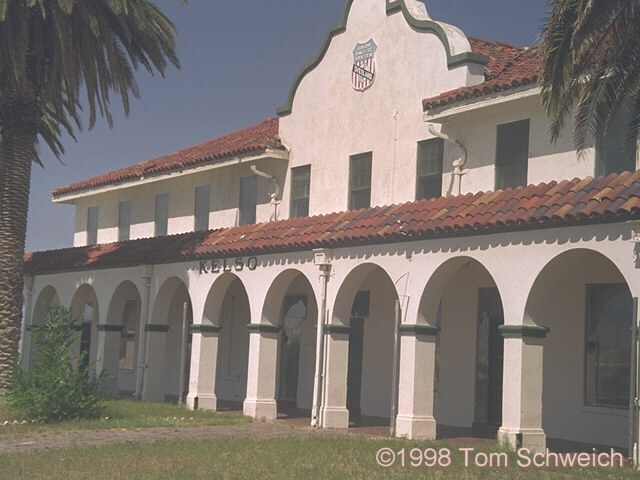 Photo: Kelso Depot in April 1998. Eastern Mojave Vegetation Kelso Depot in April 1998. Kelbaker Road - Mojave National Preserve: in Kelso. Kelso Cima Road - Mojave National Preserve: in Kelso. Other photos about Geography - Eastern Mojave or Kelso.